ANAHEIM, CA -- The public got a first glimpse at the future of Disneyland on Monday. 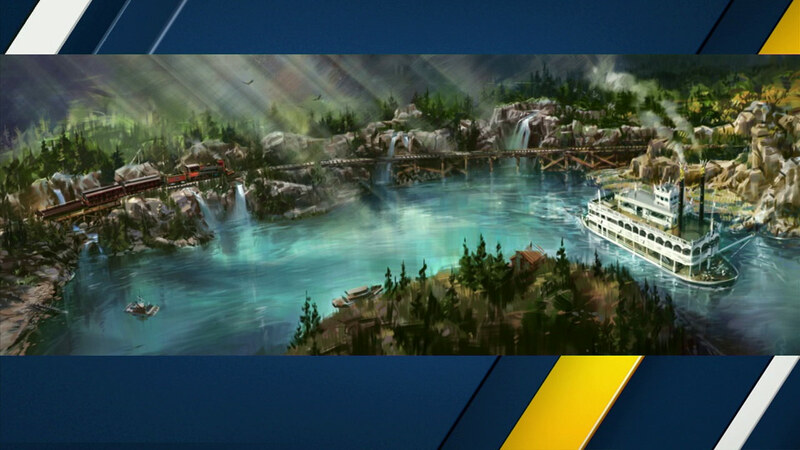 The resort released a new rendering of what the Rivers of America will look like once the new "Star Wars" land is completed. A new riverbank will be located just outside the "Star Wars" attraction near Frontierland. It will feature a new elevated train trestle for the Disneyland railroad. Disney has not yet announced when the "Star Wars"-themed land will open.